CCNA, is a certification in computer networking developed by Cisco. Cisco created the CCNA to recognize basic competency in installation and support of medium-sized networks. Installation and support of 100 nodes or fewer in a LAN/WAN environment is the knowledge examined in this certification. 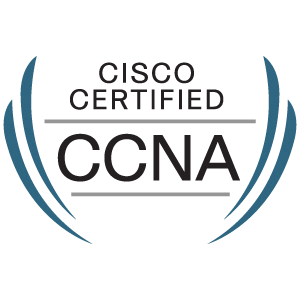 The CCNA certification is recognized by IT employers when considering a fresher's profile for a vacancy or for a salary hike/promotion for experienced employees. The Cisco Certified Network Associate (CCNA) exam covers a broad range of networking concepts to prepare candidates for the technologies they are likely to work with in today’s network environments. C-TAC provide best training in Hoshiarpur Punjab with Cisco 2811, 2600XM, 2500 Router And 2960, 3560 Switch. Students coming in a group will get more discounts.